CrystalClear® pHGuard™ - Airmax® Inc. When used as directed, CrystalClear® pHGuard™ will stabilize pond water pH and maintain buffering capacity as safe levels between 80-240 ppm. CrystalClear® pHGuard™ will help prevent wide pH swings which are typical from morning to night. CrystalClear® pHGuard™ makes pond water safe for fish and plants and helps keep water balanced in the hot summer months. Keeping a properly buffered system is essential for the completion of the nitrification process, which allows harmful ammonia to be converted to nitrite and then to nitrate. Apply pHGuard™ once a week and after each water change. pH is typically lowest at dawn and highest at dusk so it is important to test pH at the same time of day. Drastic changes in pH may cause algae blooms, fish and plant stress and possibly death. 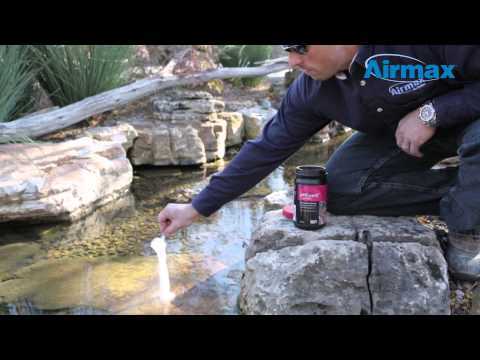 Safe pH ranges for pond fish and plants is 6.5 – 8.0.